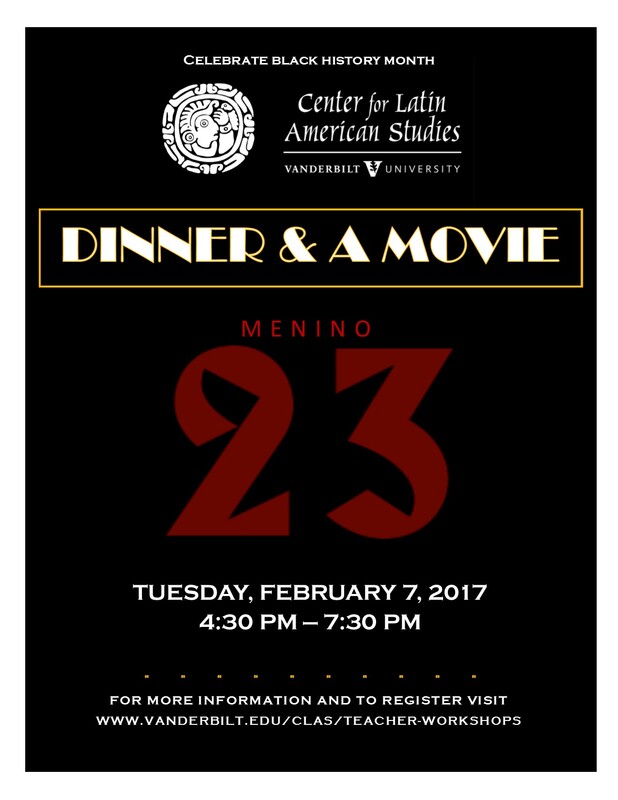 Join CLAS for Dinner and a Movie to celebrate Black History Month! 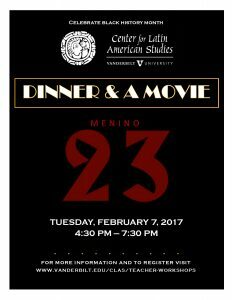 Enjoy a warm meal while watching Menino 23, a film exploring the enslavement of fifty black and mulato boys in rural Brazil during the 1930s. During that time, local elites in Brazil bought into Nazi and Fascist regimes and even subjected victims to racist experiments. Two of the surviving boys, now in their 80s, share their stories for the first time. CLAS Assistant Director Dr. Nicolette Kostiw will lead a discussion exploring how fascism, Nazism and scientific racism play out in Latin America, as well as possible avenues for classroom application. $15. Includes all materials, dinner and parking validation. 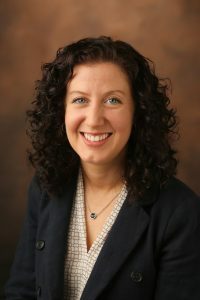 Nicolette Kostiw is the Assistant Director of the Center for Latin American Studies, as well as the Director of Graduate and Undergraduate Studies. She received her Ph.D. in History from Vanderbilt in 2015 after completing both her M.A. (Spanish) and B.A. (History) at West Virginia University. Nicolette is a Brazilianist and her research examines the end of slavery in Brazil, looking specifically at the ways in which former slaves and their children navigated the country’s transition into the post-emancipation era. She is also a digital humanities advocate and continually aims to better integrate historical research and technology. Her duties at CLAS include teaching introductory LAS courses, student advising, FLAS coordination, graduate certificate management, federal grant reporting, organizing professional development workshops, and overseeing summer grants programs.